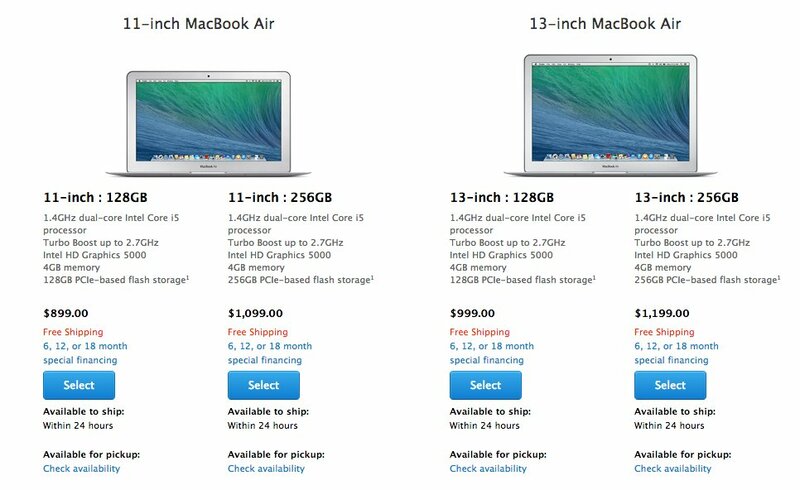 Apple just quietly introduced its cheapest MacBook ever to the public. The company put two new MacBook Airs on its website on Tuesday: an 11-inch laptop and 13-inch laptop, each available with either 128 GB or 256 GB of storage. At $899, the 11-inch MacBook Air with 128 GB is the least expensive MacBook Apple has ever offered to the mass market, according to AppleInsider. Only one other time has the price of a MacBook dipped to $899, and that was only when Apple offered a special discount to educational institutions. The laptops are similar to previous MacBook Airs, but each version costs $100 less than its predecessors and has faster, newer processors. The Airs are currently available for purchase online and at Apple Stores. Apple didn't seem to do any advertising for these new MacBook Airs, and it's probably because it didn't need to. Apple sold 4.1 million Macs during the first three months of 2014 -- up 5 percent from the same period last year. That growth is impressive because it happened during a year when sales for other laptops -- mostly those running Windows -- slid by almost 7 percent, according to analysts at Gartner.